Anime. The word brings to mind images of animated characters doing karate (or innumerable other forms of combat), robots, weird magic, and many other things. But there's one anime that I think anyone can like, even those who've sworn off this particular art form. It doesn't fit into any of these categories. What's the anime I think anyone could enjoy, no matter their level of anime knowledge? ERASED. ERASED, or Boku dake ga Inai Machi, tells the story of a man named Satoru who experiences the strange ability to jump back seconds in time before something bad happens, a phenomenon he calls revival. Revival gives him the ability to stop these bad things from happening if he can spot them in time. Satoru is just your average artist who delivers pizza to pay the bills until he becomes the prime suspect in the death of his mother, which is connected to the murders of three children during his childhood. As he flees the scene of the crime, he experiences a revival like no other: one that sends him back to childhood! Stuck in his eleven-year-old body, Satoru decides to try to keep those three children's murders from happening with the hope of changing the future and saving his mom. Does that sound intriguing yet? Hm? Maybe? Well, here are some things to sweeten the deal. 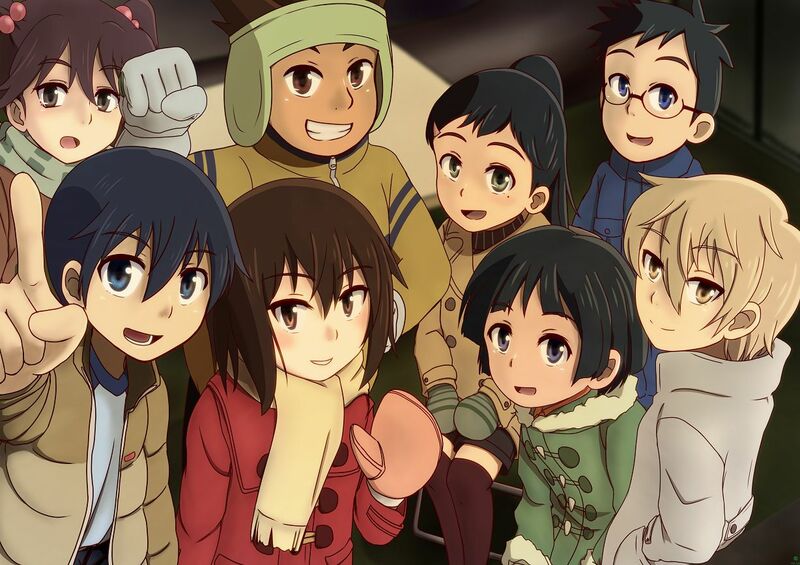 ERASED has something for everyone. It's a murder mystery with suspense, humor, and a sprinkle of adorable romance as well as a dash of time travel. The story mostly centers on a group of children, sort of like Stranger Things. Like Stranger Things, the use of children is not simply cute or comic, but they actually add a great deal to the story. Speaking of those children, the characters in this show are brilliant and multifaceted. From Satoru's boss of a mom to Kayo, the melancholy first murder victim that our hero wants to save, each character draws you deeper into the story. The story is unique, breaking plot cliches and twisting a web so intricate and delicious that you'll finish all twelve episodes in one sitting, if you can. If you're looking for an anime--no, a story in general--full of feels, depth, and heart-stopping suspense, look no further. I haven't met anyone who didn't love this show, anime fan or not, so I highly encourage you to check it out. ERASED is available to watch free on Crunchyroll. You have no excuses. Go. What's your favorite animated film or television show? 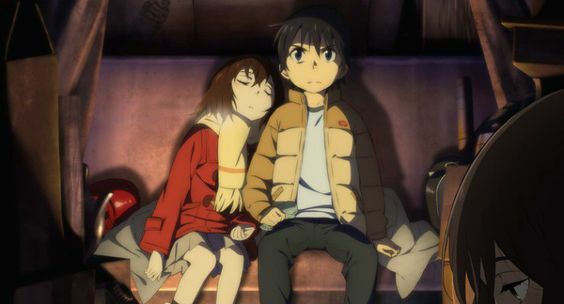 Have you seen ERASED?